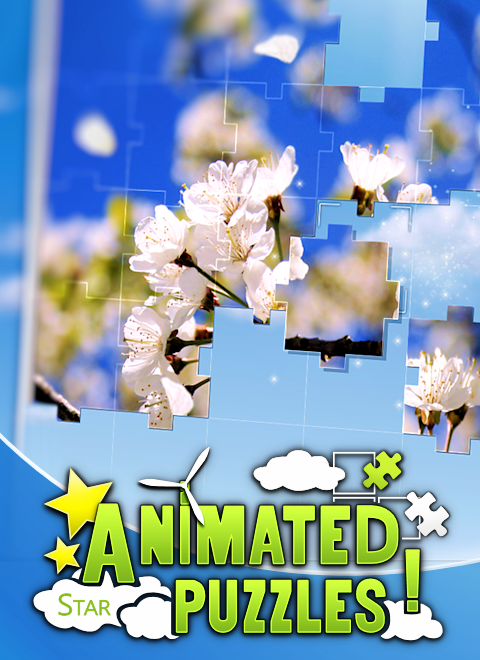 Animated Puzzles Star is a Jigsaw -style puzzle game with a fun and fascinating twist, animated pictures. A wonderful pastime, in which beautiful photos are combined with natural motions and effects, giving you a puzzle experience above the ordinary. The soft animations keep you relaxed, at the same time as it adds a fun and challenging twist to the gameplay. A unique and joyful game that suits almost any age, from young to old. A perfect way to unwind and have fun! Daily challenges - 2 challenges each day, based on different game modes and goals. Multiplayer - Challenge friends or random opponents in a fun and turned based puzzle battle..
Progress alternatives - Play the puzzles in order, or unlock all puzzles at once. Levels of difficulty - Each Puzzle has three levels of difficulty. The difficulties will slightly increase as you unlock new tiers. Shapes of Puzzle pieces - Several shapes of puzzle pieces to choose from. Controls - Full support for Steam controller, Xbox360 controller, Keyboard, Mouse and Touch. 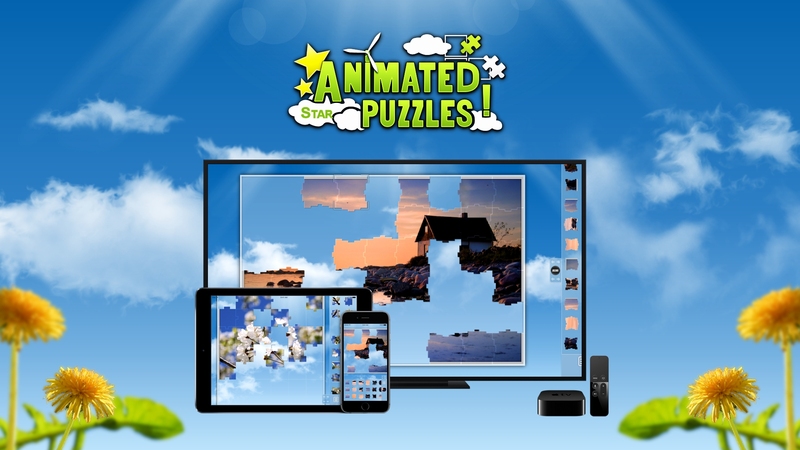 Animated Puzzles Star released on App Store! On December 26 - 2017, Animated Puzzles Star was released on App Store for iPhone, iPad, iPod touch and Apple TV. Animated Puzzles Star for iOS includes 18 animated puzzles together with two daily challenges each day and a turn-based battle mode, where you can challenge your friends! It’s mature, yet colorful graphics and clean interface keeps it just as simple and joyful for children, as for adults. Multiplayer - Challenge friends in a fun and turned based puzzle battle. Animated Puzzles Star is finally available in Steam Early Access! Welcome to join our journey towards final release!